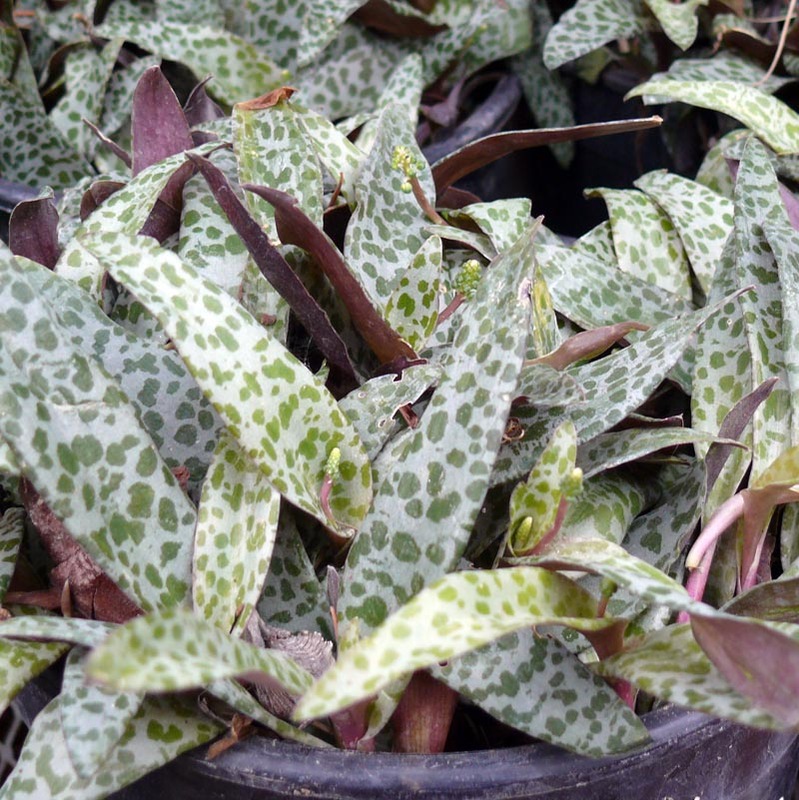 Spotted leaves, produces many bulbs. Small lavender/white flowers on 1ft. tall bloom stalks. Spreads quickly.